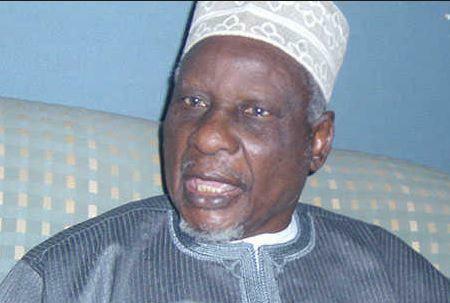 Alhaji Tanko Yakasai, 92, a chip from the old block, served as President Shehu Shagari’s Liaison Officer to the National Assembly. In this interview, he reviews the state of the nation and critically dissects the arguments for restructuring. He submits that insinuations of northern objection to restructuring are unfounded upon the claim that the blueprint for the process has itself been etched on imaginations that have not been properly articulated. By and large, I will say things were as they were before, except that at the end of the year, the price of crude oil has appreciated considerably, and that impacted on the economy of oil-producing countries including Nigeria. The result was that we got more money and this can be seen from the way our foreign reserve is now augmented; it’s higher than what it was before; otherwise everything is more or less the same. But in some cases, things were less than what they were a year before. So the crisis in the area was reduced to the minimum. You remember the vandalism of pipelines to refineries and depots which affected the generation of power in the country during the crisis stabilised because of that deft move by the Acting President. That act made the governance within that period hitch-free when the President was away for treatment. No, no, Nigerians are living together as one without any difficulties. In all honesty, take a visit to Enugu and find out if there has been a clash between the host and their guest communities. Take another visit to Ibadan, Ogbomosho, Abeokuta or any part of South-West and find out whether there was any clash between the local people and guest community. Come to Kano, Katsina or Sokoto and other big cities in the north apart from areas where the insurgents have taken roots; you don’t find the local people having clashes with other Nigerians. Nigerians are living in peace with one another, and unfortunately, it is the elites who have access to the media that are creating a crisis which is non-existent. The issue of restructuring is a matter of public opinion especially for the elites who have access to the media and are generally the ones who are creating tension by speaking carelessly. The agitation for restructuring is an expression of personal opinion by the individual, and they are entitled to their opinion, and interestingly, most of those engaged in the shouting match on restructuring are doing it from the position of Northern phobia. Throughout the period dedicated to the debate, I have not seen a single northerner that was opposed to restructuring Nigeria. The only thing I know was that most people from the north ask for details, and until today, no one has come out with a clear blueprint on what restructuring is all about. We are in a democratic setting; we have provisions on how things should be done. What the north is simply asking for are the details. It is our legislators – both national and states – that are empowered to effect a change in our constitution, and there are clear positions on how many of them can do that legally. It is the right of an individual to initiate a bill through the legislator on any grey areas he or she wishes to effect a change, and as I speak to you from the time this debate resurfaced, to date, nobody has done anything in respect of that either to the state Assembly or National Assembly proposing whatever changes that he or she would like to introduce into the Constitution of Nigeria. No, I’m a student dialectics. Find out the number of newspapers we have in Nigeria. Put together, how many copies do they produce in a day compared to the totality of Nigerians, and the percentage of those that read newspapers. From my findings, they are not up to 10 per cent; that is to say that 90 per cent of Nigerians don’t read newspapers, therefore all this noise on the pages of newspapers, and few in the radio with its technical reach, reaches out more to the communities than the newspapers; yet the debate is not on the radio, maybe in the television, but how many people watch television? Very very, few. So this exercise in futility by the elite does not affect ordinary Nigerians. But tell me, what has the debate done to Nigeria? Did it change their lifestyle, thought pattern and what have you? It is not the whole country that is involved. It is just a microscopic few who are not up to 10 per cent of the population of Nigeria who are busy misleading themselves. No, no I’m not against restructuring, and I challenge anyone to produce a single northerner that is against restructuring. The simple fact about the debate is that we don’t know their definition of restructuring. You cannot oppose something blindly; you have to fully comprehend what the other man wants to enable you to decide whether you will key into it or jettison the idea as balderdash. The north is asking the proponents of restructuring for details to enable them to take an informed decision. The North reserves the right to be consulted by these few people because of the strength of their population and size because head or tail, they will be more affected, but instead, they choose to consult people from the imaginary zone they call Middle Belt. And from the Nigerian set up, there is nothing like Middle Belt, you cannot find an area geographically defined as Middle Belt by the Nigerian Constitution; you cannot find a population or ethnic group defined as Middle Belt, you cannot find any administrative structure through Nigeria’s pre-colonial history to date that is legally defined as Middle Belt; you cannot find an area, state, local government or zone defined as Middle Belt either administratively or constitutionally. Do you feel embarrassed by the appointment of dead persons into boards of Federal Government agencies and parastatals by the Buhari administration? How can I be embarrassed? I think those in authority should be embarrassed, certainly not me. But what I learnt was that the list was submitted long ago by various branches or chapters of the ruling party to the President who handed over same to the former Secretary to the Federal Government (SGF), and he sat on them, and we are now getting it out because the new SGF, Boss Mustapha, seems to be more active, and in addition, elections are approaching and the President needs something to tell people that if he is not able to appoint common membership of boards, what is he going to tell his party men who supported him, and these are some of the reasons. Now, the President is hurriedly constituting the boards of federal parastatals, but nothing stopped him from doing same for over two years running now. Was it right for the SGF to dust the file and release same to the public without proper scrutiny? Did you watch the reaction of the former SGF, Babachir Lawal over his suspension on national television? He requested to know who suspended him and was told the Presidency, and he asked again who is the Presidency? He demonstrated from all intents and purposes that he is the presidency. It went further to show that when people accused the presidency of harbouring cabals, it was an admission that there was a cabal and that he was a staunch member of the cabal, which perhaps explained why things happened the way they did; and maybe the new SGF does not think the cabal should continue to operate as it was before his emergence, and therefore decided to introduce some changes. You hardly criticise President Buhari’s style of governance these days, is it that the government has bought you over? (Hearty laughter). Well go and get money for me, and I will take it. I’m 92 now, and if at 92, I cannot use my common sense when will I deploy it again? When I made that statement against Buhari, it was attack from left right and centre, insult here and there, particularly from this part of the country. Since then, I have kept quiet because I knew I would be vindicated one day. I don’t have any more to add. What I said is now confirmed by events. What I said then was that President Buhari was not prepared to govern and that his party has no programme for Nigeria, and it happened. Why should I waste my time anymore? I said it; you have seen and every other Nigerian has seen it. Why can’t I rest and I deserve some rest, and I will allow them to do the talking. I did the talking when it was necessary for me to do and now, it is no longer necessary because Nigerians are doing the talking now. I believe there are five important ingredients necessary for successful political leadership, and these include capacity, competence, vision, planning and integrity. In my opinion, our present national leadership is totally lacking those ingredients. All of them are inherent, they cannot be bought or borrowed, and nobody can change the situation for the better, we have to live with it to the end.